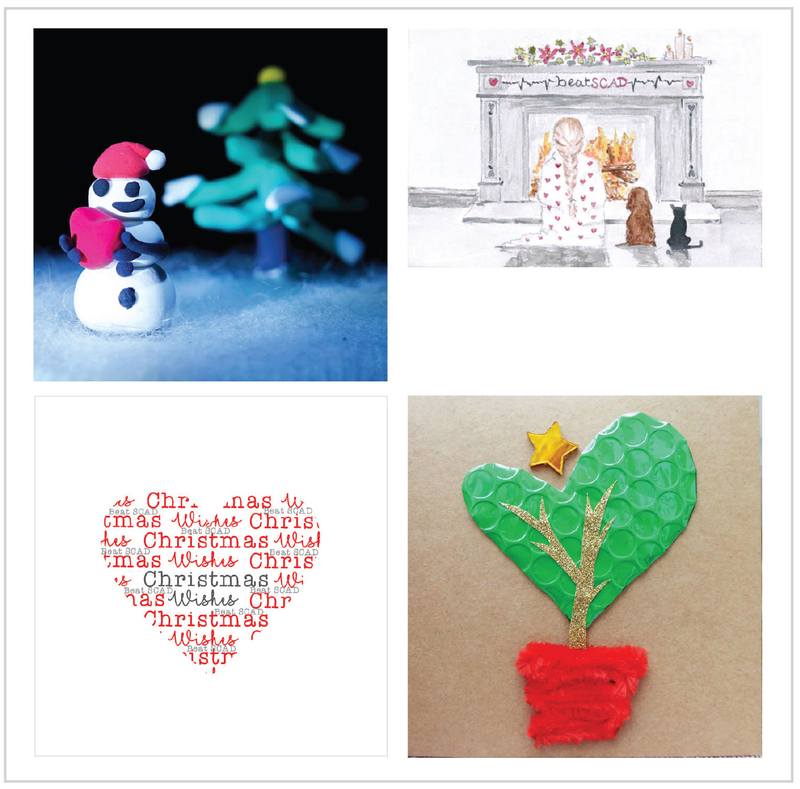 Beat SCAD are excited to announce the winners of our 2018 Christmas card design competition! In the under 14 category, Luke Adams with his beautiful Snowman holding a heart design. All the winning designs are pictured below. Congratulations to all our winners! We will be in touch with them soon about their prizes. Luke has won a £30 Hobbycraft voucher plus two packs of cards with his design, and the adult winners have won one item of Beat SCAD clothing of their choice, plus two packs of cards with their design. Thank you to everybody who entered the competition. We were blown away by all your fabulous designs – you really made our judging panel work hard to select our final four! The winning designs are now available to buy in our shop. We can’t wait to see the printed cards and we really appreciate the support of the SCAD community with this project to distribute the cards to help us raise awareness of SCAD.